Many a parent of a toddler has encouraged their child to “use your words” in dealing with a problem or request, instead of crying, acting out, or whining. It turns out that teaching toddlers self-regulation through language is especially helpful for boys. A recent study published in Early Childhood Research Quarterly found that language skills are more important in the development of self-regulation skills in young boys than young girls. The study looked at children as they developed from age 1 to 3. As previous research has shown, this study replicated the finding that language skills, particularly vocabulary, help kids regulate their emotions and behavior. Research has often found that girls are typically more advanced in their language skills, and thus self-regulation skills, at this young age. 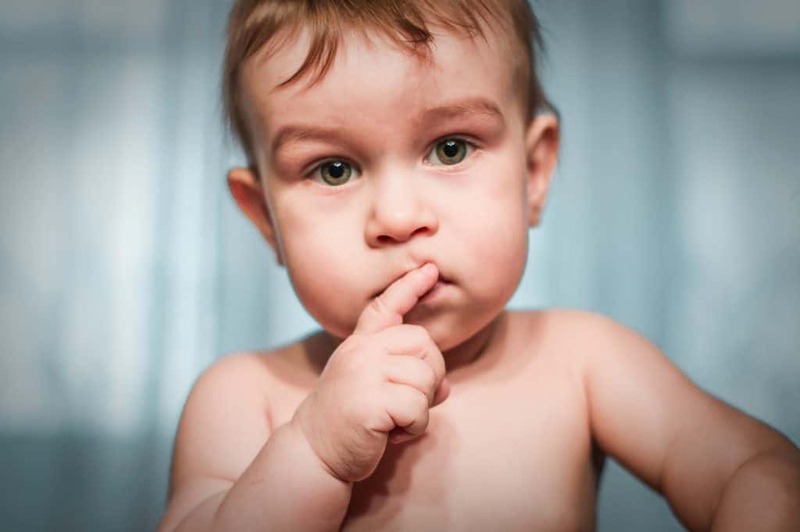 What was different about this study, however, is that it showed that toddler boys with strong language skills can be as skilled in self-regulation as girls at this age. So it seems the early development of self-regulation skills can only help our children as they move through life. 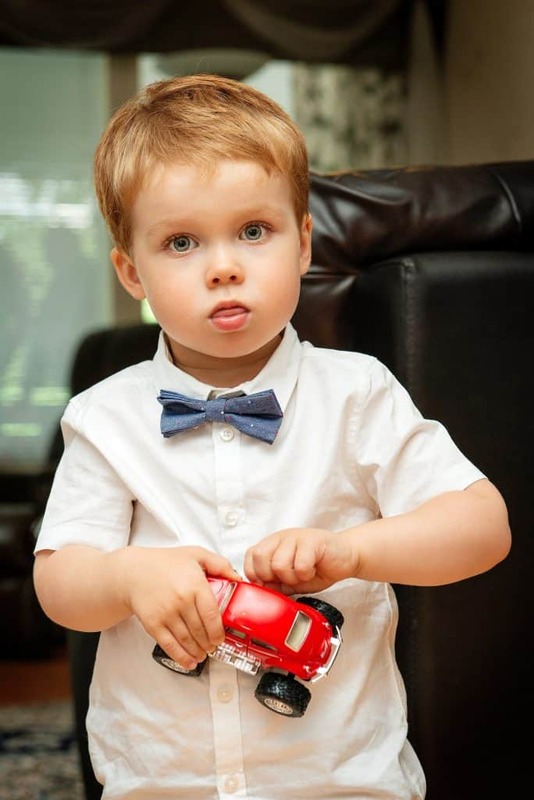 Being mom to a 16-month-old boy, made reading this article particularly relevant to me. Even at this young age, I am already beginning to see how language is helping him with self-regulation. He is starting to learn that certain items are off-limits (e.g., trash can, toilet bowl) and when he gets close to them he says “no, no.” This “self-talk” is the early stages of this development of self-regulation in toddlers. He has heard his dad and I say “no” to these items enough that he has begun to internalize it. Of course, at this age, he is not always successful in staying away from these items, but at least he’s learning 🙂 Hopefully, as he learns more and more vocabulary he will be able to say what he needs or wants, as well as continue this internal dialog to help control his actions. I think it is helpful to know that boys really are able to use language skills to help self-regulation at the same level as girls. 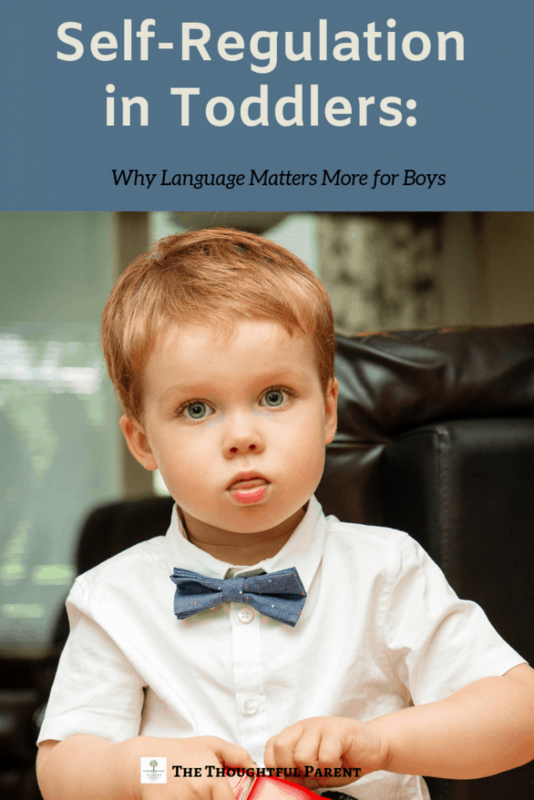 Although girls usually have a natural tendency to pick up language earlier, it is important to encourage language skills as much as possible with boys too. Focus on giving kids strategies to build their own self-regulation instead of always being a source of external regulation for them. As parents, this could mean not giving in to tantrums, but also teaching skills like breathing techniques or practicing a difficult situation at home before going out. Not punishing emotions. 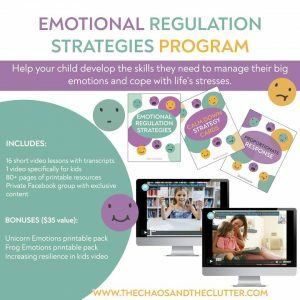 Kids’ difficult emotions are challenging for parents to handle, as well as kids. By not punishing difficult emotions like anger or frustration, but instead helping kids learn how to work through them, you can foster lifelong skills. 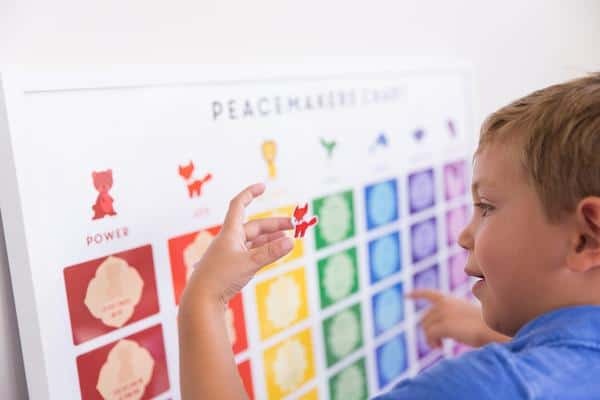 Play games that require self-regulation. For young kids, classic games like Freeze Dance, Simon Says and Red Light, Green Light can help build self-control. Join our tribe of parents who parent “against the grain.” We focus on making intentional decisions based on research and intuition, not societal pressures. See more HERE.